My parental friends, can we please participate in a little collusion? A little organized action. I mean, we aren’t unionized, so “big birthday” can’t come after us, right? Although I have a healthy fear of clowns (thanks to Stephen King), I feel safe enough taking them on. And I know, deep down, you want to too. Here’s what I’m talking about- yearly birthday parties. Every. Damn. Year. It’s too much. Can’t we all agree to just go every other year? I propose that A – L takes the even years and M – Z takes the odd years. We’ll make exceptions for sweet sixteens and quinceaneras. Voila- between presents for the parties our kids attend and throwing a party, we’ve probably saved a $1,000 per family a year. Then, put that money in their college account or spend it on yourself. You probably deserve a nice date night or ten! This year, when our girls turned 8, we did a “family party.” This used to be an acceptable way to mark a kid’s birthday, and indeed- the most common “party” a kid had, but now- with the birthday party arms race that has sprung up- the family party has been replaced by the institutional party machine- bouncy houses, climbing walls (we are guilty of this one), bowling, trampolines, gymnastics, mobile video game trucks, professional laser tag, pony rides- there is no limit because with everyone throwing parties, all the kids have done all the activities. It’s gotten completely out of control. Six year olds are having more elaborate birthday parties than I have ever had and I’m forty years old. That’s me in the grey and black- totally mental, throwing a CLIMBING WALL party for 4 year olds. I know it’s a losing battle to ask everyone to restrain themselves from throwing these parties- that would be like asking everyone to go back to riding horses. Cars are here to stay and so are these birthday parties. 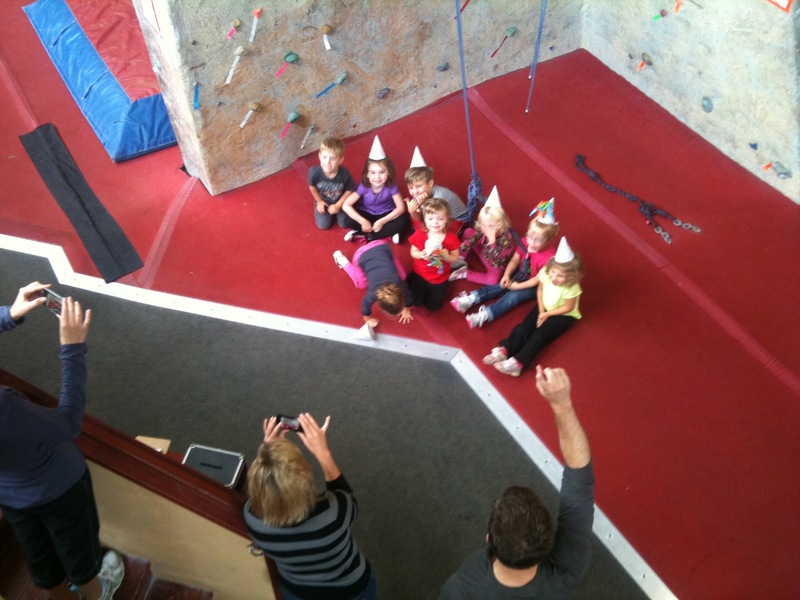 We’re just as guilty- we did a party at a climbing gym when our girls were 4 years old! Four. Years. Old. I must have been mental. But I’ve come to my senses! I am calling for moderation! A truce- let’s just tone it down a teensy-weensy bit. I make this plea with tongue in cheek, but I do think there is a serious side to it. 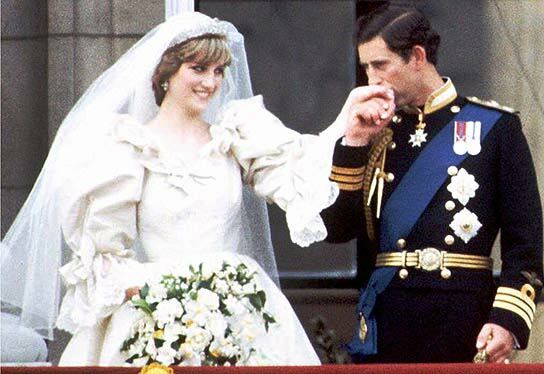 What is left for a young person who turns 16 or 18 or 21 when they’ve “been there, done that” at all the great birthday venues by the time they are 10 or 12? The only thing I haven’t seen at a kids party is a bartender (and maybe if a little booze was served up for the parents, I wouldn’t be so over it). Chatting with another mom awhile back, she protested that her daughter would be disappointed if she didn’t have one of these IPC (Industrial Party Complex) parties. That all her friends had them. My thoughts were in rapid succession- 1) Getting used to disappointment is one of the most valuable skills you can teach, and 2) How many more times are we going to hear that excuse as our kids grow up? I mean, I have probably said the one about “If all your friends jumped off a cliff, would you?” ten times already. 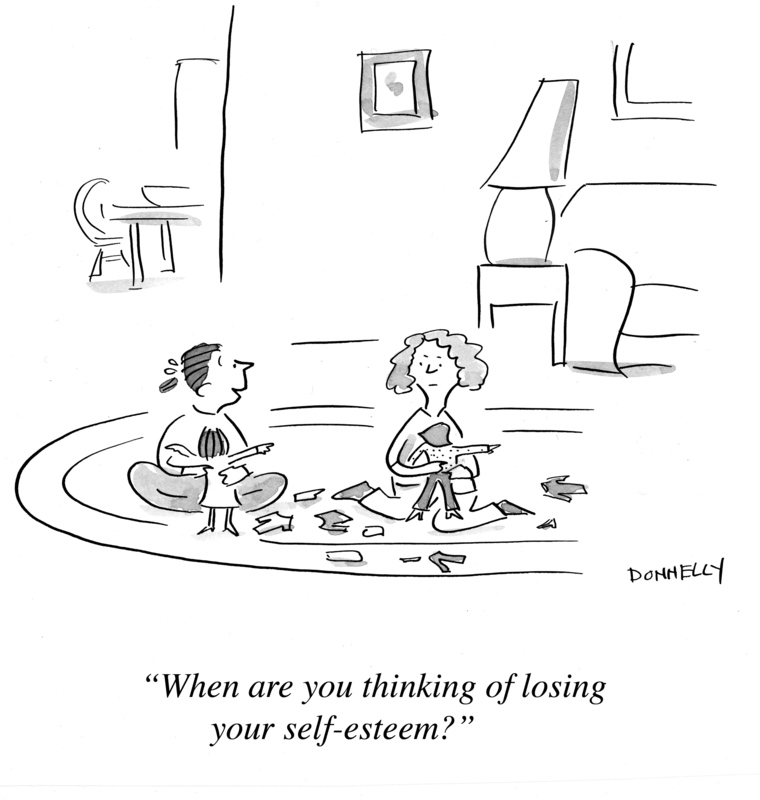 Disappointment is part of being a kid. I WANT them to move out someday- we can’t make it too much fun to live at home. 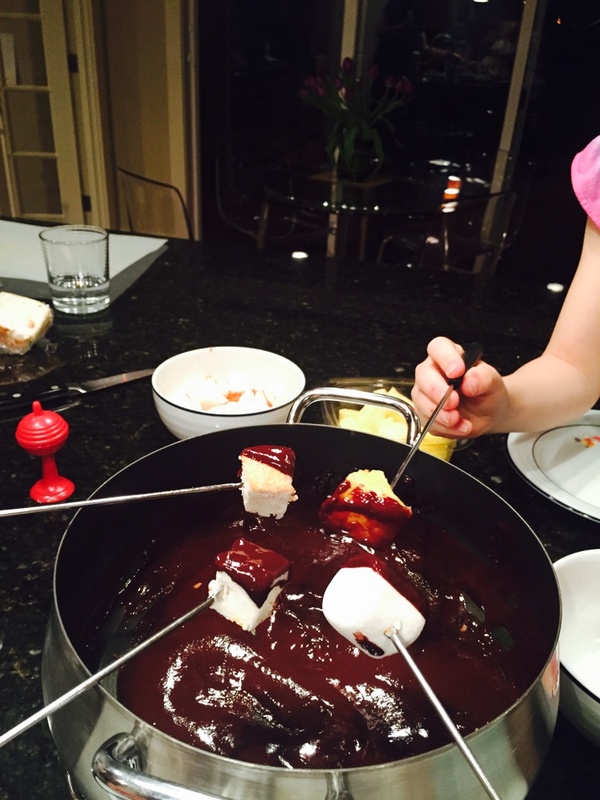 Mmmm… Chocolate fondue is our new family birthday tradition. A final, perhaps too radical, thought. I’m also an advocate for the “no presents/no goody-bag” party. I mean, I know I don’t live in Seattle anymore (being eleven whole miles outside of it) but I still love the sweet granola crunch of consuming less. (Sure, my eastside house is twice the size of the house we lived in, in Seattle- but we moved FOR THE SCHOOLS!) I know your kid doesn’t need the present we got at Target 45 minutes before the party and my kid doesn’t need a bunch of candy and crappy toys that I am going to surreptitiously throw away after they go to bed. The unicorn ride and custom, monogrammed cupcakes that you served at the party were treat enough.